An instant token swap web app hosted on IPFS and interacts with Kyber's smart contract. 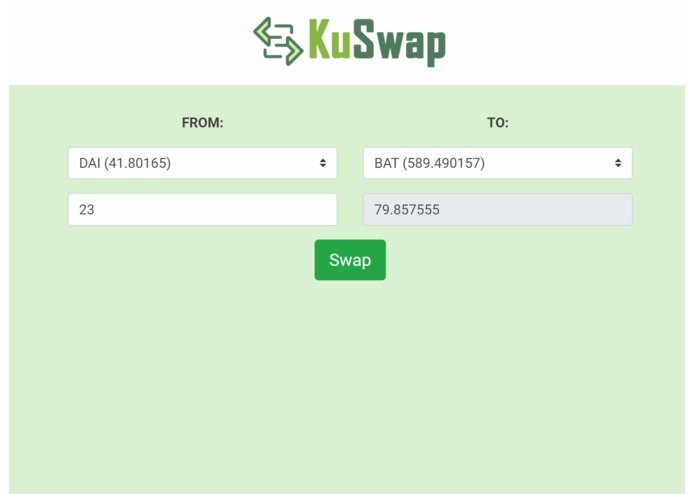 KuSwap is an instant token swap web app hosted on IPFS and interacts with Kyber's smart contract. It is a barebones but intuitive interface that allows any user (especially those new to the cryptocurrency space) to easily swap between different ERC20 tokens including Ether. As KuSwap is hosted on IPFS, it's more decentralized than other similar dapps. Vue.js was used to build the static website. Web3.js, MetaMask and Infura were used to connect the UI to the Kyber smart contracts. The static files were bundled and then uploaded to an IPFS node, which was set up on DigitalOcean. An IPFS hash for the hosted files was then generated to allow access to the UI. To make it easier for users to access KuSwap. The domain name KuSwap.com was registered and CloudFlare was used to map the IPFS hosted UI to the domain name. I ran into some issues calling the Kyber smart contracts, especially for setting the correct parameters. Setting up and IPFS node and upload the bundled code was also a challenge. The basic token swapping function is now totally working. The dapp can now be accessed using both an IPFS hash address and the domain name KuSwap.com (which just maps to the IPFS hosted site). Nothing is local hosted. Everything is live! Even working on the mainnet! Building dapps that interact with smart contract is still not easy at the current stage. Using IPFS turned out to be not that difficult. Will continue building KuSwap. 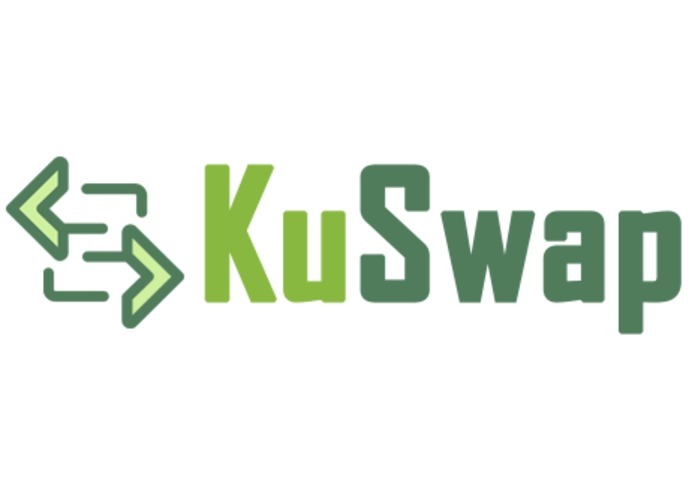 As the domain name KuSwap.com has been secured, it will quite likely become a popular dapp!